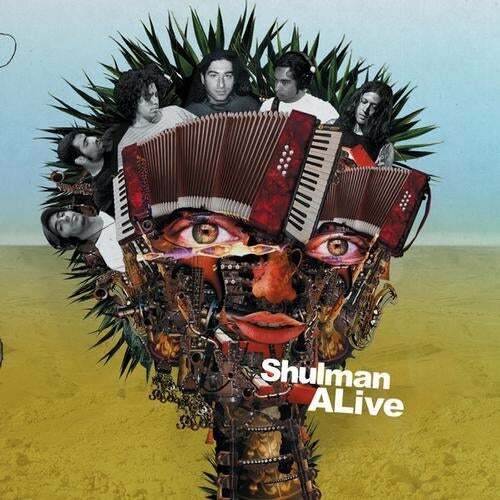 The much awaited new Shulman album, entitled, ALive, is finally here. The album contains live arrangements of known Shulman tracks that were made for the special Shulman live band shows. The recordings were done with live musicians: a drummer, guitar player, bass player and keyboardist, and wind instruments: saxophone, shehnai, zorna & ney, and of course the Shulman duo working their electronic magic on computers and synthesizers. It presents unique sound textures combining the usual Shulman incredible compositions with ethnic elements, psychedelic rock, jazz and other eclectic musical touches. The outcome is an out of this world journey into Shulman's weird universes, but with more organic and alive feel to it that makes it all seem very real. The album contains collaborations with Omar Faruk Tekbilek & Steve Shehan, Ishq, Sub6 & Michele Adamson and Lee Trifon (Eatliz).